You do, of course, get huge variations in the plumage of pheasants, though it always seems more commonly seen in the males, this female is an attractive alternative to the norm. 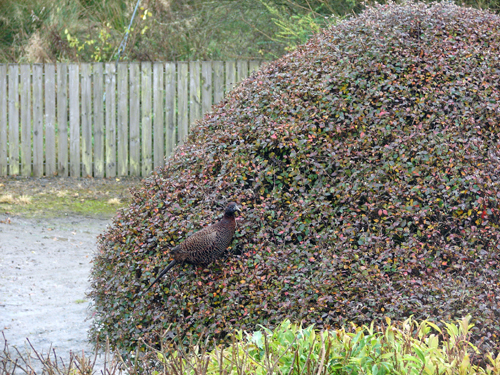 Here she was this afternoon happily sat atop the cotoneaster tucking into the berries. Much darker than the ones that usually frequent the garden.